Considering a trip to have some fun and soak up the fantastic cosmopolitan lifestyle of Sweden with a group of friends? Group travel is a terrific way to experience Sweden. From the largely untouched and remote countryside to some of Europe's most modern and livable cities, Sweden is a great place to visit, so why not enjoy it with some of your favorite friends and family? No matter what you're interested in seeing or doing, Sweden has a little bit of everything. Did you know that by organizing a group to travel together to Sweden, you may be eligible for free travel? Airlines and hotels often provide free arrangements for the group host. Since there's so much to see and do in Sweden, you'll want to plan your travel plans carefully. One important aspect to consider is finding a good balance of group activities that allow you to have some shared memories together, as well as open free time so that individuals can go out and explore on their own. Maybe some will want to stay out late and see Sweden's vibrant nightlife, and others will want to get up early and go on that fun daytrip. A good itinerary will ensure everybody can have the vacation they want, while making room for shared experiences and a fun time all around. While many visitors to Sweden choose to visit Stockholm and then hurry off to Copenhagen, Tallinn or Helsinki, this i.nerary was designed to show you the heart of Sweden to learn about its history, culture and cuisine and to experience the country's truly out-of-this-world landscapes. If your group is interested in staying several days in a Scandinavian capital city but also wants to experience tradi.onal villages along the shores of Lake Siljan, this is the iti.nerary for you. 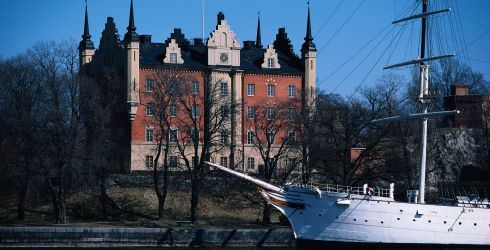 View the complete day to day Golden Sweden Tour Itinerary. View the complete day to day Scandinavian Capitals Tour: Copenhagen, Oslo, Stockholm and Helsinki Itinerary.